Do you share your information with others? How has your personal genetic information influenced your lifestyle and the way you approach your health and medical decisions? 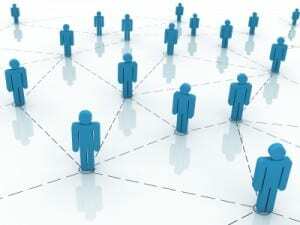 Can genetic information create new communities and connections? As personal genetic information has become accessible to individuals outside of the framework of the healthcare system, very little about how this information impacts health-related decisions, attitudes towards personal privacy and the formation of communities is understood. In collaboration with 23andMe, Inc., Sandra Soo- Jin Lee, Ph. D, a Senior Research Scholar at Stanford University’s Center for Biomedical Ethics, is studying individual experiences with sharing personal genetic information with others and its potential impact on health behavior, research efforts and social identity. The Social Networking and Personal Genomics Study at the Center for Biomedical Ethics invites participants between the ages of 18 and 75 to spend approximately 2 hours with us in a focus group setting. Participants must have purchased direct-to-consumer personal genetic information from 23andMe, Inc., shared their information with others, and be willing to discuss their perspectives and experiences. Focus group members will receive a $50 gift card for their participation and childcare will be available on an as-needed basis at no cost. For additional information or to enroll, please contact Simone Vernez, Project Manager, by email at [email protected] or by telephone at (650) 723- 9364. For more information on the study itself, including specific research aims and funding please visit http://bioethics.stanford.edu/research/SocialNetworkingandPersonalGenomics.html. For general information about participant rights, contact 1-866-680-2906. NHGRI funded R01 Grant Project R01HG05086: Social Networking and Personal Genomics: Emerging Issues for Health Research (PI: Sandra Soo-Jin Lee, Ph.D).